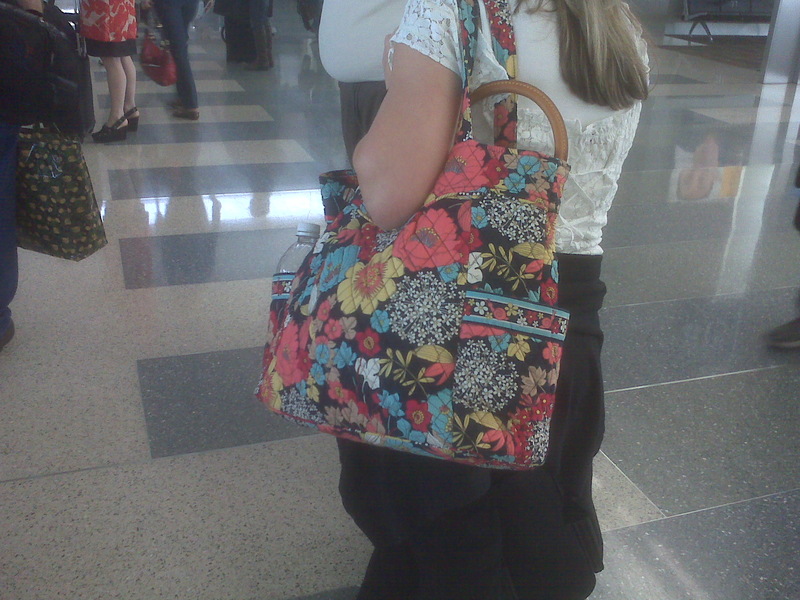 Mom had a Vera Sighting at the Sacramento airport today on her trip home from visiting my grandma. I love the Pleated Tote when I am traveling! is that not a sittin in a tree patchwork tote to the left there?!?!? !